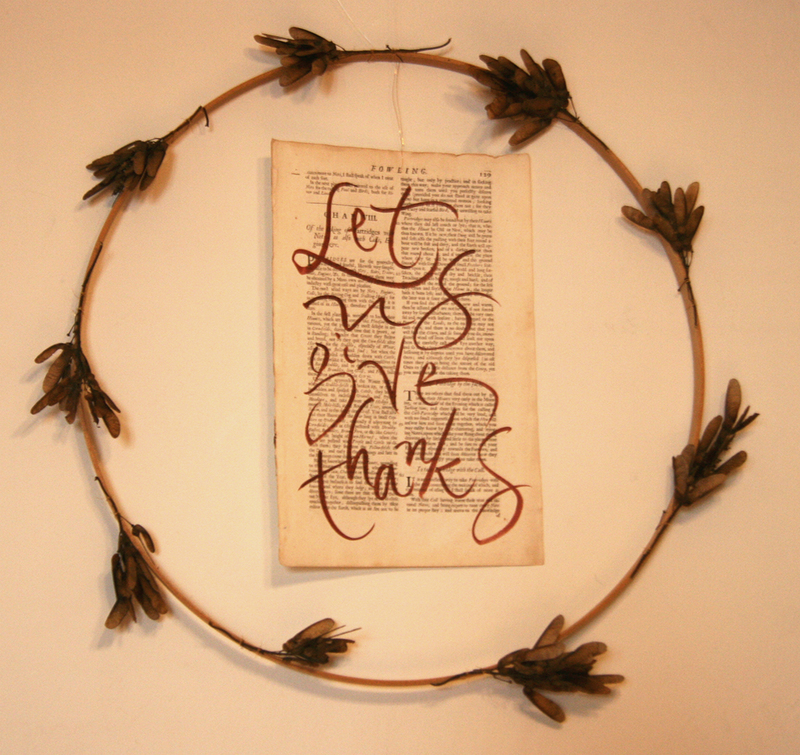 Wreath of embroidery hoop with maple keys and wire. Writing with sepia ink and brush on a page from an old book that I was given pieces of. I think I was inspired to use it by all the writing I saw in the PBS American Experience on the Pilgrims.